Bruja moved to San Francisco from Brazil at age 16. She was raised by musicians, actors and circus lovers, being on stage as early as her memories exist. In the Bay Area, she found her soulmates and kindred spirits in the company Thrillpeddlers, who carried the San Francisco Grand Guignol torch, along with the legendary gender-bending original musical theatre group Cockettes, working directly with them to revive shows from late 60’s and early 70’s and create new work based on our current cultural, political and social issues. 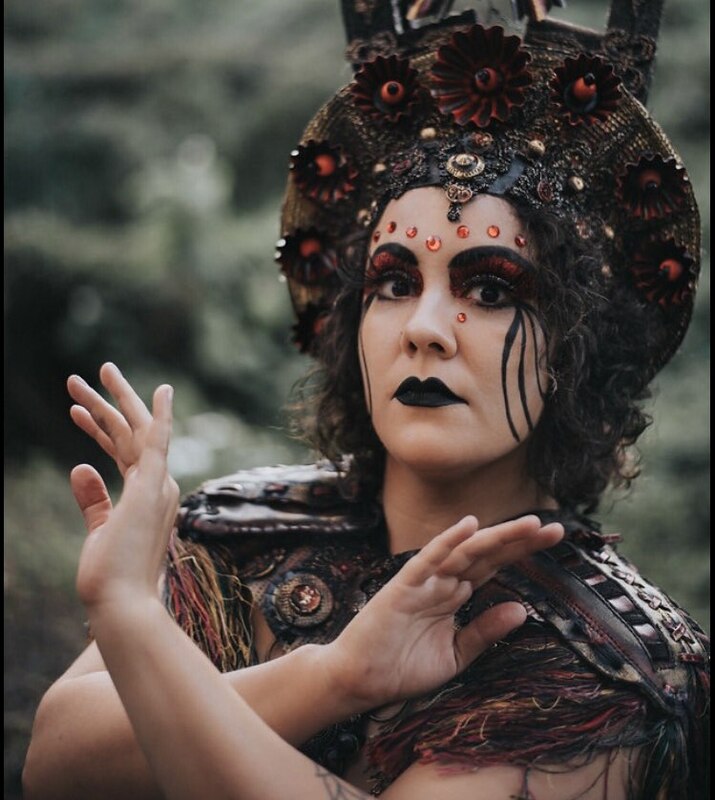 In 2017, Bruja started her own performance company, Palace of Trash, with co-producer Roxanne Redmeat, continuing the legacy of the outcast and shocking San Francisco culture. She is thrilled to be coming back to the stage for horror with Into The Dark.